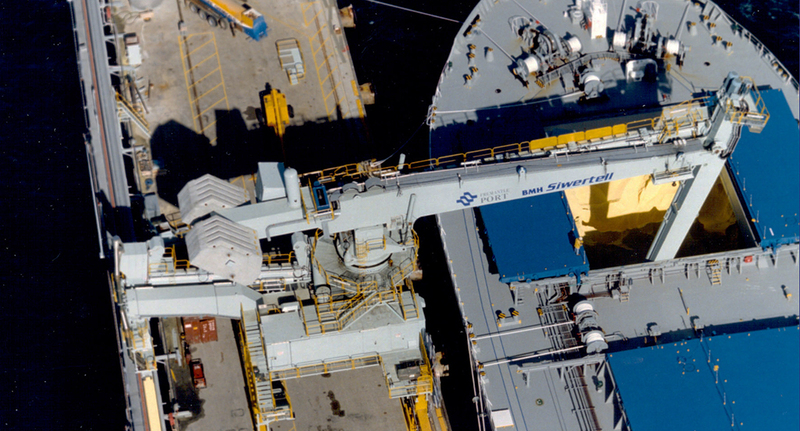 Siwertell was awarded this contract for the supply of a continuous ship unloader to Fremantle Port Authority, Australia. The unloader is in operation at the Bulk Cargo Jetty in the Outer Harbour at Kwinana. Continuous screw-type unloaders as well as grab cranes were evaluated for this installation. A Siwertell screw-type unloader was elected in the end due to it being able to provide a safe and environment-friendly discharge operation of sulphur from vessels of up to Panamax size. 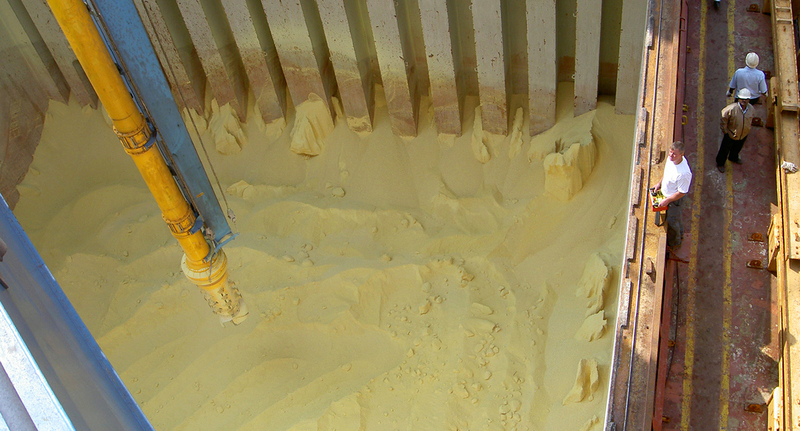 To ensure safe unloading of sulphur, the unloader is equipped with the Siwertell sulphur safety system (4S). This system has a preventive function to avoid the creation of sparks. If, in spite of this function, a spark is produced, the system will automatically start the incorporated fire extinguishing process. It will also relieve overpressure in the conveying line through relief doors. The Siwertell unloader has an enclosed conveying line with sealed transfer points. This feature, combined with limited noise emission ensures an environment-friendly operation. The unloader at Kwinana is equipped with the monitoring system SiMon, which provides instant performance feedback, has an automatic log book function, keeps track of maintenance intervals, and reduces time for trouble-shooting. The high voltage power supply includes a six-core fibre optics cable for communication between the unloader and the port authority main office. In addition, the SiMon system enables remote access on-line by Siwertell engineers in Sweden, who can then follow, supervise and in principle also operate the machine from the other side of the globe. Included in the contract was a one-year operating maintenance service and education programme, as well as a programme for staff training.